John Skarbnik, Esq. is a Senior Associate Attorney at Pasricha & Patel, LLC who dedicates his practice to commercial and tax-related law, estate planning, and business advisement. 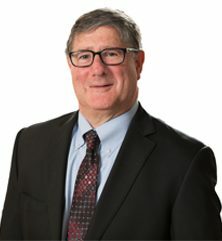 John has represented clients in a wide variety of business-related issues, including the purchase and sale of business entities, selection of the proper entity type for their business, the formation of limited liability companies, corporations, Subchapter S corporations, partnerships, estate planning, and the drafting of wills and medical declarations. He also represents clients before the Internal Revenue Service in resolving deficiency disputes. John is also a certified public accountant in New Jersey, who speaks frequently before professional tax organizations and who has been published in many leading national professional tax journals. He is an editor of Murphy’s Will Clauses, a national five-volume treatise published by LexisNexis, and has revised a number of its chapters. In addition, John has been a Professor of Taxation in Fairleigh Dickinson University’s MS in Taxation Program since 1988, and was awarded Fairleigh Dickinson’s Distinguished Faculty Award for Research and Scholarship in 2011. John is peer-rated AV Preeminent by the Martindale-Hubbell organization, reflecting excellence in legal ability and ethics. He was also awarded the 2014 Five Star Certified Public Accountants Award by the Five Star Professional organization, dedicated to helping the public identify exemplary professionals in various service fields. Contact John Skarbnik, Esq. at jhskarbnik@pasricha.com.